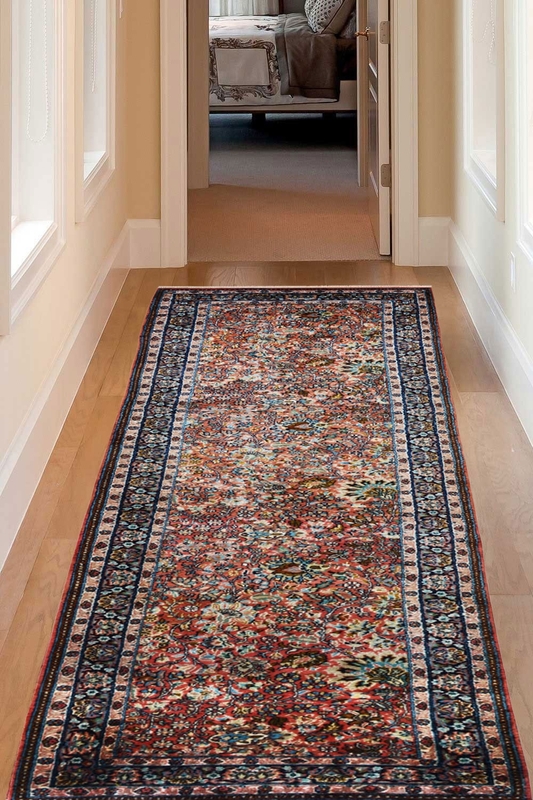 Adorn your favorite passage or corridor with these stunning hand crafted runner made in 100% silk with Kashan design. Main colors are ivory, sky blue and pink. - Lovingly handwoven by our very own talented weavers in 100% pure silk. - Design is Kashan floral with intricate design and great craftsmanship. - This is a Handmade Kashmir Pure Silk on Cotton runner. - The design of this rug has been originated from Kashan, a province in Iran and is one of its kind. - Rugsandbeyond's recommendation is to place this rug as a passage/corridor rug.